Very exotic small tree native to New Caledonia. 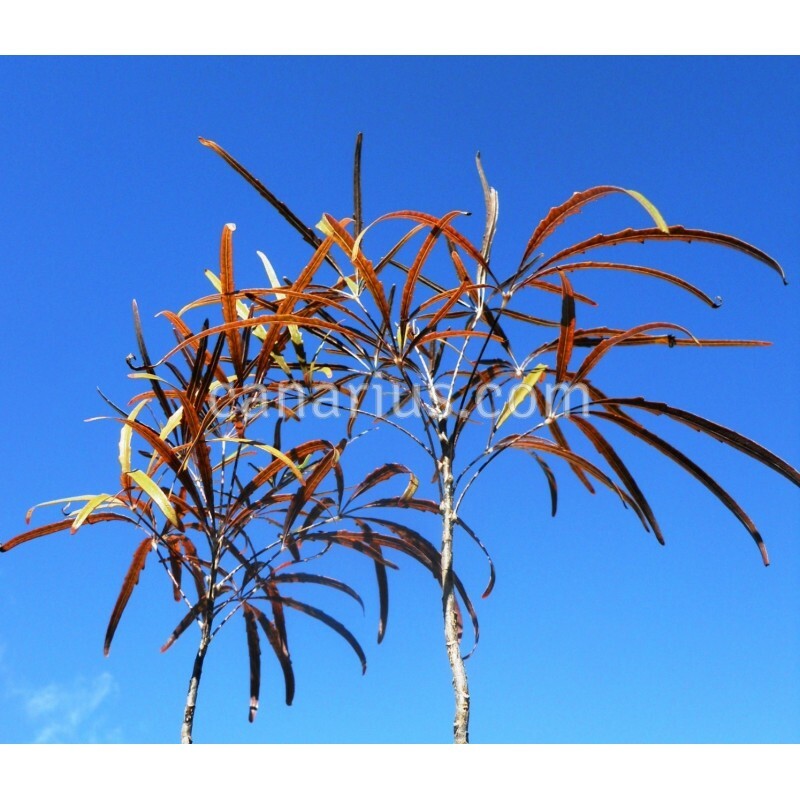 Few palm-like branches hold large coppery red to dark green leaves with toothed edges. We offer sun-hardened plants, a perfect people-stopper for the coastal Mediterrean garden. 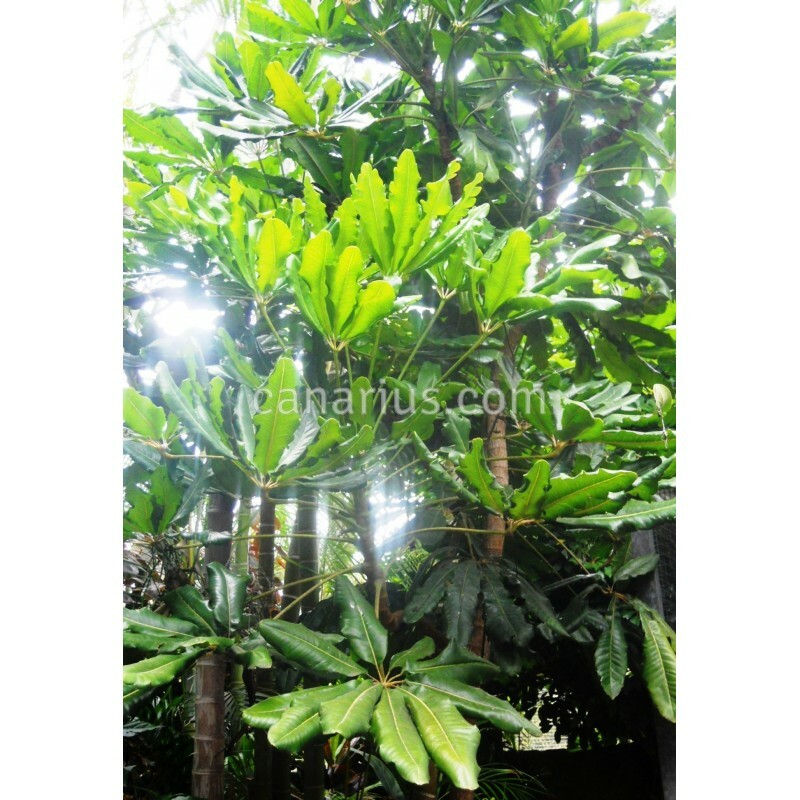 Very exotic small tree, 2-6 m tall, native to New Caledonia. 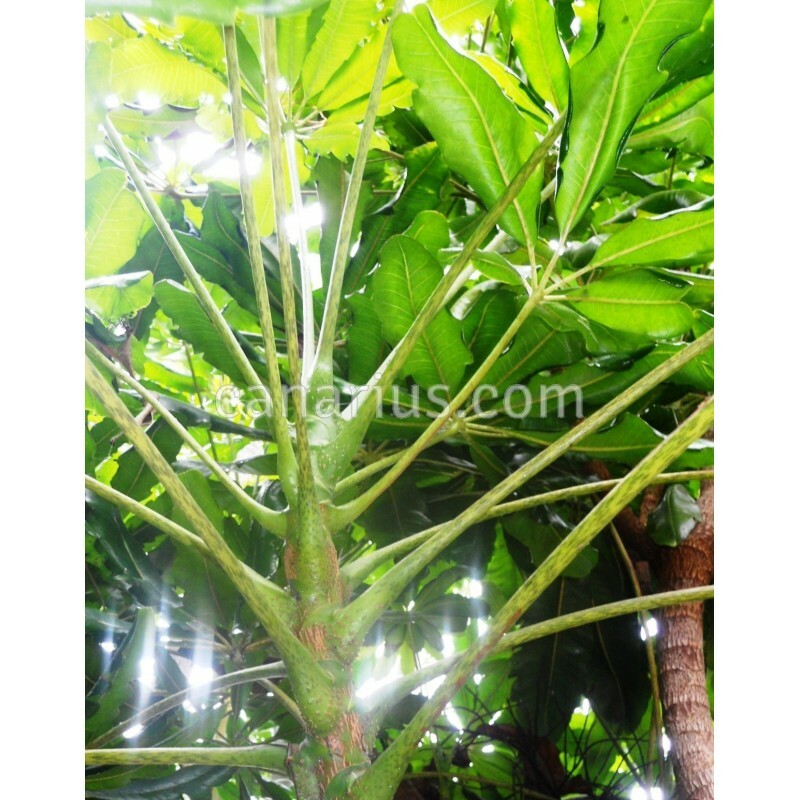 It has few palm-like branches hold large coppery red to dark green leaves with toothed edges. Juvenile leaves have thin segmets, but the adult ones are VERY broad. In autumn it bears clusters of pale green flowers followed by black fruit. 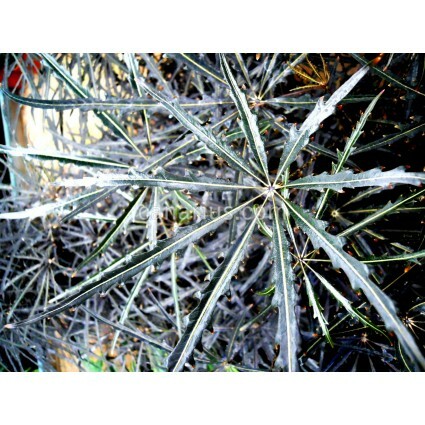 We offer sun-hardened plants, about 50-80 cm tall, about 2 years old. It can grow outdoors in the coastal Mediterrean garden, because it tolerates cool winters with little or no frost.